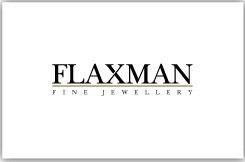 At Flaxman fine jewellery we aim to provide first class customer service to help you find the perfect gift whether it be for yourself or a loved one. Based in Windsor, Berkshire, we are easily accessed just off the M4 and M25 motorways . Our shop is a treasure-trove of antique and modern jewellery including many contemporary signed pieces and exclusive engagement rings. Our specialism are pieces dating from the Georgian period right through to the present day. Most popular are pieces in the Art Deco and Edwardian styles. We have a wide range of incredible rings, earrings, bracelets, brooches, pendants, necklaces, cufflinks and Objects d’Art. Most are set with precious stones including diamonds, rubies, sapphires, emeralds, opals, garnets, aquamarines, citrines, demantoid garnets, alexandrites and more. Pieces from the Victorian period are predominantly made in silver and 18ct gold. Edwardian jewellery was mostly made in platinum and 18ct gold and in the Art Deco period platinum was the predominant metal used. During the 1940s and 1950s 18ct gold was once again used a lot. Our current collection of signed jewellery includes important signed pieces of jewellery by Cartier, Van Cleef & Arpels, Tiffany, Mauboussin, Fred, Chanel, Rolex, Patek Philippe, VCA, David Webb, Black Starr & Frost, J.E. Caldwell, Faberge, Marcus & Co, Hermes, Boivin, Suzanne Belperron, Oscar Heyman Brothers, Asprey, Garrard, Boodles, Fouquet, Georges L’enfant, and Chopard to name but a few. We also have an amazing selection of pre-owned and second hand ladies and gents wristwatches including models by Cartier, Chopard, Rolex, Patek Philippe, Omega. Our stock is ever changing with new pieces coming in every week so keep an eye on our full e-commerce website. Our bespoke engagement ring service is proving very popular. Offering the client the chance to view a selection of certificated GIA, HRD, IGI, Gubelin, SSEF and AGL diamonds and gemstones, before designing the mount of their choice. This service allows the client to get really involved in the process. Our UK based workshop in Hatton Garden employ a state of the art CAD system to make the designs a reality. Our craftsman have years of top level experience in hand making jewellery of all types. Our testimonial page illustrates how successful this service has become. Please contact us to make an appointment. Our handmade diamond wedding bands made in platinum, 18ct white gold and yellow gold are made to order. Fitted wedding bands are also a speciality. Using a range of G colour VS clarity baguette, princess, and brilliant cut diamonds in channel settings, grain settings, box settings, micro settings, claw settings, collet setting and rub over settings. We can also offer the more discerning customer D and E colour VVS clarity diamonds on request. We have a first class repair service via the same workshop in Hatton Garden and if you are looking to re-design any old unused jewellery we have an exclusive and bespoke re-design service once again using state of the art CAD systems to make your visions become a reality. As a member of The National Association of Goldsmiths we have a comprehensive insurance valuation service which we offer as well as investment advice.